South Dakota's adjusted sales tax revenues for the fiscal year that ended last June 30 were nearly 2% lower than those of the preceding year, which is really 4% accounting for inflation. State economist Jim Terwilleger, addressing South Dakota's Council of Economic Advisors, says in the piece that the shortfall is tied "directly to weakness in the agricultural economy." Terwilliger went on to call FY '17 a "trough" in ag spending in South Dakota. He added that it was the third consecutive year of "slumping crop prices." There's no question that crop and livestock prices have been in a prolonged slump, but I do wonder how Terwilliger concludes that we're in a "trough," which in econo-speak means a low turning point, suggesting that prices will soon be trending up. After reviewing price charts for corn and feeder cattle to be delivered a year from now, I see nothing particularly cyclical showing up in the futures markets that would make prices now look like they're in a trough and about to swing higher. It'll take a major natural or political cataclysm to make that happen. Otherwise, sentiment across the board is saying that 2018 is likely to be the same-oh, same-oh. And that's where South Dakota's collective finger-crossing in hopes of strong commodity prices continues to come across as a poor alternative to more conventional forecasting and state financing methods. Noting that our state's 2018 budget is built on an assumption of 4% growth, Terwilleger says that "I don't know if we're going to get there." Nobody knows, but there's good reason to be pessimistic. More to the point, there's good reason to be fed up--South Dakota continues to be commodity-price dependent because so much of our state's revenues are gathered up by sales taxes, which account for about 83% of the funds that Pierre collects every year, more than twice the amount collected nationally. Facing facts that consumption taxes in our state are directly dependent on crop prices, Terwilleger notes that sales tax revenues from the sale of agricultural equipment were down $10 million in 2016, to levels that were about the same as they were 20 years ago. More broadly, lower crop prices, to the tune of about $3 billion annually from 2011 to 2016 reduce the flow of spendable, sales taxable, cash. Betting on strong commodity prices year after year is a dumb and irresponsible way for South Dakota to do its budgetary planning. We need to reform taxes in a manner that will wean us away from agricultural market dependence, and that includes reviewing sales tax exemptions (about $1.1 billion--with a "b"--in 2015) and putting some progressive corporate and individual income taxes into consideration. As it is, we've been going nowhere fast of late. During the 5 years that ended in 2016, South Dakota's per capita GDP growth was a feeble .2% compared to a national number that exceeded 6%. We're stuck in reverse. It's time to shake up the status quo. Trump that is likely to jack up the very deficits that South Dakota's U.S. senators have been vowing to contain for years. Our senior Senator John Thune preaches in his website that "for too long responsible budgeting has not been practiced in Washington" and that "our country is on an unsustainable fiscal path." Not to be out-evangelized, junior Senator Mike Rounds said in his website last August that "with our debt spiraling out of control . . . it's clear that federal spending at current levels is unsustainable." So just how did Thune and Rounds mount their crusades against unsustainability? They ignored them and voted last week to approve a budget of about $4.1 trillion in spending with revenues anticipated at $3.65 trillion, leaving a deficit of $440 billion through October, 2018. What's more, in the byzantine process of Senate deliberations, this budget sets the stage for deficits totalling $1.5 trillion over the next 10 years. So much for unsustainability. Naturally, there's a Republican explanation for this gush of red ink our Senators support. According to the partisan line, this budget sustains the "unsustainable" in order to smooth the way for the tax reforms that President Trump has been pushing since inauguration day. The GOP line is that Trump's tax cuts will not be budget busters at all. Powerful economic growth will generate tax revenues that themselves are strong enough to cut into the federal debt and bring it more in line with historic levels. Based on the experiences of the last half-century, this is bunk. I have yet to see any data that support that argument. George W. Bush's tax cuts were followed by the 4th largest national debt increase incurred during a president's tenure. Reagan's often-ballyhooed tax cuts were followed by a tripling of the national debt during his years in office. included) signed a petition intended to bring our state's government into compliance with the state motto "Under God The People Rule." The petition will put the "Voter Protection and Anti-Corruption Amendment" to the South Dakota Constitution on next November's ballot, where I believe it has a great chance of passage. This initiative is a direct response to the way our state's legislative and executive branches dismantled Initiated Measure 22 during last Winter's session. IM-22 was a complicated amalgam of draconian restrictions on government and electoral processes that included a provision for taxpayer funding using a system dubbed "democracy credits" for candidates seeking office. Though I was generally supportive of its goals for oversight and transparency, the taxpayer-financing of elections turned me off and I opposed the measure, which nonetheless passed with a 52-48 majority. The political backlash in Pierre was swift and decisive. Within weeks of IM-22's passage, Governor Daugaard disdained the new law, calling it "irresponsible" and a "bad law." He also condescendingly scolded voters by claiming they were "misled" and "deceived." As expected, the law itself was immediately challenged on Constitutional grounds and began moving through the courts, where it was headed for judgement by the state's Supreme Court. In the meantime, state legislators and the Governor crafted a series of replacement acts while repealing IM-22 altogether via House Bill 1069. Neither the state's courts nor a majority of South Dakota voters were considered to be a relevant part of the process. The subsequent pushback by voters is one that I supported right away. Like plenty of South Dakotans I was dismayed by the cavalier and presumptuous manner in which our elected officials blew off the will of the people and destroyed the measure before it was given its due process in court. 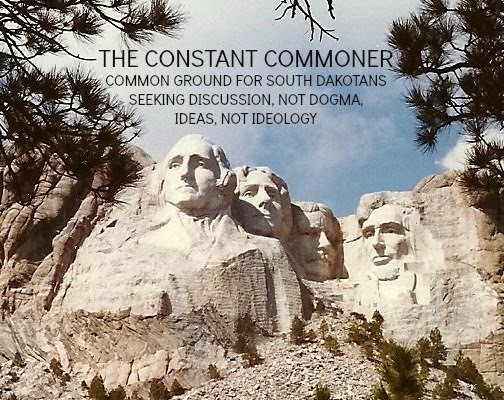 "Under God The People Rule" was rendered a mockery and the resulting outrage should come as no surprise to our political class, as SD's legislative and executive branches now have to contend with a powerful, new replacement for IM-22. This "updated" version wisely dropped the deal-killing "democracy credits" plan for taxpayer financing that turned off a lot of potential supporters. Also, unlike its predecessor this amendment is much simpler and focused on fewer concepts, possibly the most important of which is that it stops elected officials from overturning any voter-approved laws without going back to the voters themselves for permission. I also like that the proposal creates an independent citizen's ethics commission, not the state agency (I mean, the state monitoring itself? Come on.) that the legislature set up when it revoked IM-22. It also flat-out bans gifts (including food, beverages and alcohol) from lobbyists to elected officials. A provision banning "foreign" money from our elections could stand some explanation, but coming discussions and debates will clarify it. You can go to represent.us to read the full amendment. Nobody, most notably our elected officials, will be "misled" or "deceived." Some might even be enlightened. A Q For SD Pubs Running For Congress: Your Thoughts, Please? Trump Toady or Independent Thinker? to be burdened with positions on issues that matter to us South Dakotans. As you might expect their respective websites don't reveal much in the way of specifics, so I've been looking elsewhere for their thoughts on policy. Upon googling, it looks like the closest Krebs has come is to make a broad proclamation to the Rapid City Journal last month, telling the paper that when Trump was elected she was "all in," and that her motivating force is that she "wants to help him deliver results." Her "logo" (doesn't Krebs mean "slogan? "), she explains, is "Get it done." I admire that she rejects procrastination, but I also wonder what the "it" is that she's determined to "get done." If "it" references her complete devotion and dedication to Trump and his policies, I wouldn't give Krebs much consideration as a congressional representative. "All in" is pretty inclusive, which sounds to me like she's determined to be a rubber stamp for the administration. If elected would she have the mettle to assert some independence when White House policies may not be the best for South Dakota? For example, is she "all in" with Trump's hostility toward NAFTA? He's on the record as calling it the "worst trade deal" ever approved by the United States, yet the benefits to farm states since the treaty's inception a quarter-century ago are self-evidently positive, as our senior Senator John Thune noted in a radio interview recently. My guess is that Krebs will be quick to reject the notion that she'd be a rubber stamp for the White House. I mean, who on earth would go on record as being a toady? But by doing so she would be repudiating her "all in" commitment to the President. Her website provides a nice bio and platitudes along the lines of making Washington "responsive" to the needs of our state, but doesn't touch specifics. So what is it, Ms. Krebs, are you all in with Trump or are you willing to consider issues on their merits and make decisions based on what you think is best for South Dakota? Optimist, But What About Policy? that have so far failed in the Republican-dominated Congress. That programmatic response on healthcare is probably a signal that Johnson will do as expected by the GOP, but considering his long-standing status as both an appointed and elected official, I'd love to know more. In particular, given his experience as a state government insider, his opinion of how South Dakota could successfully run a federally funded program after our state's abysmal track record with EB-5 and Gear Up needs some explanation. As with Shantel Krebs, Dusty Johnson is politically pragmatic enough to know that avoiding serious policy commitments is a way to stay out of trouble on the campaign trail. But given what seem to be equal measures of affability, experience and media appeal, it would be nice if they could find a way to differentiate themselves on the basis of something other than gender. landmark trade deal begin today, October 11, in Washington. We South Dakotans, who've been watching our agriculture-driven economy flounder for the last few years (for data wonks, SD's 2017 statewide taxable sales were down almost 2% from a year ago and our 5-year per capita GDP growth was less than 1% compared to a national increase of more than 6%), should be keeping a wary eye on the talks. Our ag sector doesn't need to take another hit. That NAFTA has been a very good deal for South Dakota is self-evident. On a national scale, the numbers are eye-popping. In 1993, when NAFTA came into being, the U.S. exported about $9 billion worth of corn and soybeans to Canada and Mexico. Thanks to NAFTA, that number jumped to nearly $40 billion. About 30% of U.S. ag sales go to our North American partners, with the top three products being corn, soybeans and pork. Even one of Trump's most consistent friends in Congress, our Senator John Thune, has weighed in on the importance of NAFTA to the nation's farm sector, telling KSOO radio last Summer that "open markets, lower tariffs and uniform regulation means more money in the pockets of South Dakota farmers, particularly from livestock." 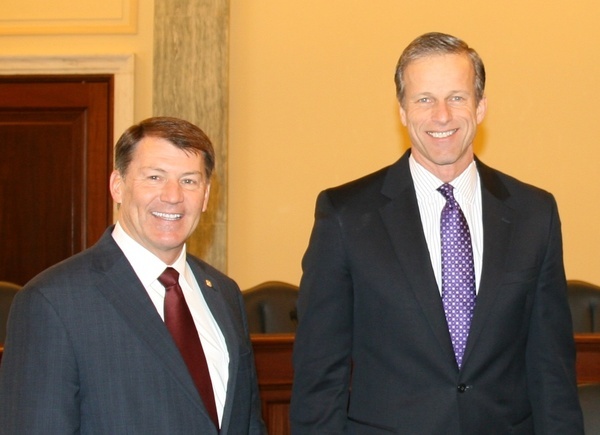 Thune singled out NAFTA as being particularly "positive for South Dakota." And then there's the rest of the country. Considering that Trump's well-known hatred of NAFTA is hanging over these negotiations, South Dakotans do indeed have every reason for concern about the future of the deal. But what's interesting is that "the worst trade deal ever signed," as Trump often puts it, has important supporters in parts of the country where the President thinks his protectionist agenda would be most helpful. A piece last Summer in the Detroit Free Press notes that Michigan would be at risk in a drastically revised or entirely ditched NAFTA. DFP says that "Michigan has more to lose than any other state" if NAFTA's terms are changed according to Trump's wishes. Credit scoring giant Fitch Ratings says Michigan would be the most affected state in the country because "its economy is the most interconnected" with our NAFTA partners. As it turns out, the uniformity of regulations and the openness of our markets have created those "interconnected" supply and distribution chains that have helped advance both the ag and industrial sectors of all three trading partners. A 2016 study from President Trump's alma mater The Wharton School of Business notes that NAFTA-driven advances in the U.S. economy have been steady, if modest, and that job re-distribution, not net job loss, has been the result of the agreement over the past quarter-century. A study in the Washington Post last August reinforced that conclusion. Trump's politically shrewd tirades against NAFTA played well in the industrial belt around the Great Lakes, where job losses and shuttered factories affected enough voters to give him the wafer-thin electoral victories that took him to the White House. But the rest of the country, South Dakota (and now Michigan) in particular, stands to lose much as the President continues to focus on that relatively narrow base of support. guaranteed by the country's founding documents doesn't mean extending them to a point somewhere far beyond the reaches of common sense. For example, the 1st Amendment to the Constitution has some limitations on freedom of speech, most famously its inherently sensible denial of the right to yell "fire!" in a crowded theater when no such emergency exists. Why that principle hasn't been applied to the 2nd Amendment seems to me a failure of logic, experience and good judgement. Having toted and used the most lethal weapons of my generation during my 13-month hitch as a Marine in Vietnam, I'm no stranger to the genre of firearms. Nor am I a stranger to their purposes and value in civilian life. Gun ownership is an embedded part of our lives in this country, a principle that I have no trouble supporting. I recall a close relative of mine who began carrying a handgun after a woman was raped in the underground parking garage of his upscale condominium. Who can't condone the sense of security that comes with a decision like that? I also appreciate that a lot of people simply enjoy the sport of shooting, along with the history, the mechanics and the aesthetics of guns and rifles. And of course there are those who hunt with firearms, a sturdy community of good citizens who also happen to support many of our wildlife conservation programs through their hunting license fees. They're also damn good for business, as I and my peers in the lodging industry will be quick to affirm. Then along came Las Vegas, which reminds us that a fondness for that guaranteed right to bear arms has occasionally morphed into a bloody and violent freak show. The Vegas madman Stephen Paddock had an arsenal far above and beyond the needs of any rational gun owner. News reports say that police found 43 firearms and several thousand rounds of ammunition in searches of his home and the hotel room where he went berserk. They were all obtained legally and some were apparently modified to make them simulate automatic gunfire. The crowning absurdity is that all of this was in keeping with laws in the books in Nevada. The framers of the Constitution couldn't possibly have had this in mind when they guaranteed Americans their right to bear arms, but we've gotten to this place and there's no turning back. Mass killings are impossible to prevent. Just the same, gun rights can co-exist with gun control that's designed to make things more difficult for determined and deranged people to obtain weapons in the quantities that Paddock possessed. Constitutional rights are one thing, Constitutionally sanctioned insanity is another.